"Oh my God!" can be interpreted in many ways. If you strike a million jackpot, "Oh my God!" could be yelled out spontaneously. Seeing a new born baby that touches your heart, you say, "Oh my God! She is cute." If you wife runs away with another man, you cry "Oh my God." You never expect a raise, but your boss gives you a double increment. You hug him with "Oh my God!" 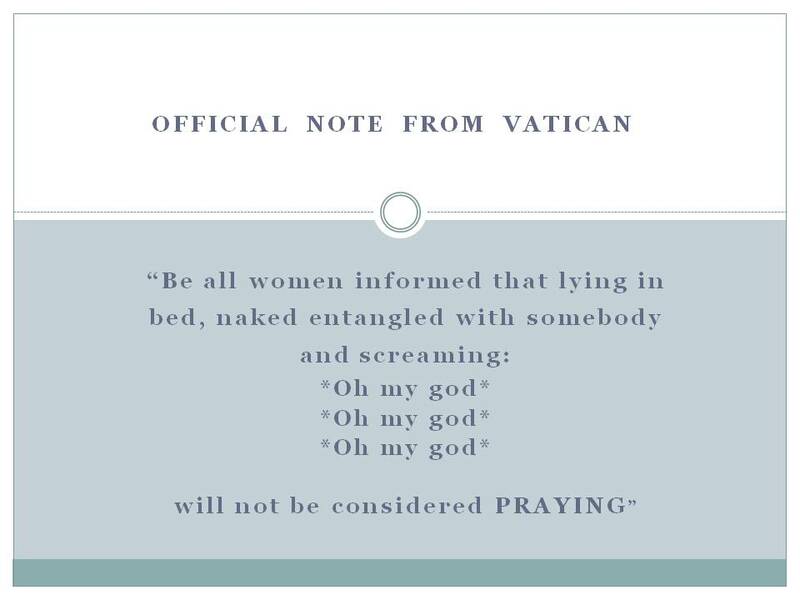 So the official note from Vatican ought to be right. On bed "Oh my God" isn't praying after all. I think -"God understands our prayers even when we can't find the words to say them" ~Author Unknown.